Cyber Monday has become just as anticipated as Black Friday, and this year, student travel provider bestbreaktours.com is participating with what promises to be some huge offers students might want to take advantage of. SAVE $100: Available on Monday only, every person booking online will save $100 on their New Years Booking. (Not valid in conjunction with any other offer or discount). Must be a hotel and bus booking, and this rate is valid for full room occupancy only (4 people to a room). Use Promo Code BBT-cyber to receive a $100 savings on your trip. Offer expires at Midnight on Monday. FOR 24 HOURS ONLY: Save $100 on your Spring Break booking to Panama City Beach, Florida. That means your trip, which includes bus transportation, taxes and the Panamaniac Club Card (a $50 value! ), can cost as low as $289! A $100 deposit is mandatory per person to secure this special rate. This booking must be a hotel and bus booking and does not require full room occupancy. At no other time will this trip to Florida’s Spring Break Capital be discounted this much. Use Promo Code BBT-cyber when booking online to receive your $100 discount. FOR 24 HOURS ONLY: Save $100 on your Spring Break Peak Week booking to Panama City Beach, Florida. Your trip could cost as low as $499 if booking five to a room. Must be hotel and bus booking and does not require full room occupancy to receive this special discount. The price of this trip will increase, so take advantage of this special offer and save big time. A $100 deposit secures this rate for you. Also included in this special rate is the Panamaniac Club Card (a $50 value!) Use Promo Code BBT-cyber when booking online to receive your special price. 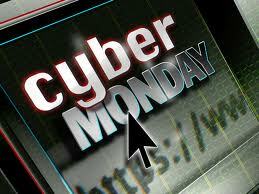 Save $100 on your regular priced rate on Cyber Monday only! Book online and use Promo Code BBT-cyber and we’ll take $100 off the price. That means Peak Week costs could be as low as $299 per person and non peak costs at $279 per person! You won’t find a better deal than this! Offer expires Monday at Midnight. A $100 deposit secures this rate for you, and is based on full room occupancy only. Must be a United States resident to receive this price. For more information, please visit www.bestbreaktours.com and book online direct.